•	What do you like about the person? •	Tell about the achievements of the person? •	How has the person affected your life? After the lecture I developed a relationship with him, which ultimately resulted in our friendship and I came to know about his life. He started his business roughly 9 years ago and now he is a well established businessman. He had only $100 in his pocket for the first time he started the business and now he has a net worth of $ 100 million. Besides adding the zeroes he also contributed a lot of towards the education industry. Before meeting this person I used to come up with all kinds of excuses for not working, but after meeting him I realized that when a person wants to do something by the grace of God he gets all the strength to do it. I used to leave my work to the next day, but after meeting James I realized that there is no next day, we should try to complete everything now. I started organizing my life and now I can say that I am managing my life in a good way. He affected my life in a very positive way and now I can easily say that he is good person and has been a motivator for me. •	What is your relation with the person? •	When did you realize that he or she was your favorite person in the family? •	How do you spend time with the person? There are 4 members in my family other than me. I have good relation with all of my family members but my favorite person in the family is my brother. I like my brother a lot because he is not only my brother, but also my friend. The strange thing is that approximately 3 years ago I used to think that he is my enemy because he always made fun of me, but one thing happened in my life which changed my opinion about him. The thing is that I needed money for my business and asked my father for the initial investment. My father said that my ideas would not develop into a viable a business so he rejected my request. I was very worried, and to everyone’s surprise my brother came to my rescue. I never expected this thing from him. He sold his car to give the money for the business. That day I realized that he loved me a lot because when everyone gave up on me he was the only one who helped me. I mostly play cricket with him. We have been playing cricket for the last 10 years. I really have fun when we play cricket with each other. The only thing which I do not like is that he starts cheating whenever he realizes that he is going to lose the match. Other than that we live in the same house so we are together in most of the family events and occasions. My hometown is Lahore. I was born in Lahore and I like it a lot. Lahore is a very important city in Pakistan because it is the capital city of the largest province in Pakistan. Right now I am living in my hometown and I wish to live over here for the rest of my life. I have been to many cities in this world, but still I regard Lahore to be the most beautiful city amongst all. Last month I went to Dubai and everybody knows that how beautiful it is, but still I was keen to return to my hometown. There is so much greenery in Lahore whereas I was not able to find enough in Dubai. I think that beauty lies in the eyes of the beholder. I think I can highlight all the good features of Lahore because it is my city, and that it is the reason, I often ignore the good features of other cities in the world. •	What are the places in your neighborhood? •	How can you improve your neighborhood? •	How do places near your house affect you? I live in a posh area of Lahore. I love my house because it is located in a very good place in the city. My house is in the suburbs and it is a very peaceful area. There are no commercial buildings near my house and I am very happy because of this. On the right side of my house is a big bungalow whereas on the back side of my house is a vacant plot. The thing which I like the most is that there is a small park right across the street, so whenever I feel like walking or jogging I simply go to the park and get some fresh air. On a whole I am quite satisfied from my neighborhood but there is no hospital near my house which has caused great distress to not only me but also to the other residents of the area. I think that there should be a hospital in my neighborhood because 2 days back one of my neighbor met with an accident on his way back to home and we had to travel 30 kilometers to find a hospital. This is causing a lot of pain to the people in the area. I am an extrovert I meet new people and want to share my views with people. My neighborhood is actually helping me meet new people as there is also a club in the neighborhood where I go and meet new people and feel ebullient because of it. •	What kind of relations do you have with your neighbors? •	Do you help out your neighbors? •	Should a person have good relations with his or her neighbors? I have very good relations with my neighbors. Actually my best friend is my neighbor. I spend most of my leisure time with my neighbors as I know them since my childhood. I can share all my feelings with them and they can also do the same. I try to help out my neighbors as much as I can. Last year a child was cycling on the street and suddenly he fell which caused him a lot of bleeding. I rushed towards the child took and him in my arms. There was nobody around me so I had to take him to the hospital alone. As I was going towards the hospital I was getting worried and tears were coming out of my eyes and the child was just like a little brother to me. I reached the hospital on time and my neighbor got all the medical attention he needed. I feel that a person should have very good relations with their neighbors because they are living close to us and they can provide us immediate help; furthermore, my religion has ordered me to keep good relations with the neighbors. We should try to lessen the grief of our neighbors and try to share our happiness with them. •	When did you visit? •	How did you feel after going there? Last month my cousins came over to my house and they were insisting on going to the museum. I was not interested in going to the museum because I do not like the museums at all. They finally persuaded me to go there and when I entered the museum I was mesmerized by the beauty of the museum. Museum was divided into sections. The first section was related to the great inventions whereas the other section was mainly concerned with the paintings and all other stuff. I was more inclined towards the inventions, so I went to the first section. As I entered the area I could see a huge computer. The computer was made in 1960s and it was of the size of the room. I was amazed to see its size and I realized that the computer engineers of today would have made a lot of effort to reduce the size of the computer. I also saw the first bulb and other stuff. My cousin came to me and he told that there was some interesting stuff down there on the other section so I decided give it a look. The other section consisted of paintings of the Mughal era. The paintings were very beautiful and they were depicting the beauty of that period. There was also a huge food court in the museum so we went to eat something. The overall experience of the museum was simply fantastic. I saw a lot of things and I came to know about my country’s culture. I think that if I had not visited the museum I would have regretted this decision for the rest of my life. I feel that everyone should pay a visit to the museum because it keeps him or her well informed about the culture and we should all applaud the efforts of our ancestors as they made many sacrifices to make our life easier. •	What difficulties did you encounter? •	How did you feel in the end? I had taken admission in the Business marketing course at Fanshawe College and I was all set to go to the college. My first day at college was very tough. I knew nothing about the city so when I sat on the bus to go to my college I reached the wrong place. I reached my college after 3 hours and I missed my classes. I was an international student so I had to report to the International office. The place was cramped with international students who were trying to get information about their classes and courses. I had to wait for a long time and finally my turn came. I am not saying that the college staff was not helpful; it is just that anxiety was creating more confusion as I was going through this process for the first time. You would not believe that I was not even able to find my class for 2 hours and then I realized that my class was just near the international office. A lot of weird and stupid things were happening on that day, but some good things also happened in the end. Luckily, I was able to find my class and I attended the last lecture. Last lecture was about Principles of Marketing and I had great interest in this subject. I also met a girl who was sitting right beside me and we became very good friends as the time progressed. I feel that most of the students do not have good memories of the first day at college because there are so many unanswered questions but as the time progresses college becomes a second home for most of the people. •	How did it change your life? •	How did you cope with it? I have had a lot of sad moments in my life but the saddest moment in my life is when I failed my Math exam. It was grade 9. I was struggling a lot with my math so my father came to my rescue and he taught me. He used to teach me well but I never revised the concepts. I got 49% in the math exam and I came back to my home. My father asked me about the result as he had great expectations from me, but I told him that I had failed the exam. At that moment I saw his face, his face showed as if he was blaming himself for my failure. He did not even scold me and he went straight in to his room. That moment I realized that not taking my seriously was not only hurting me, but also my parents. I did not make any fake promises this time and I made a true promise to myself that no matter what happens I will work very hard for my exams and I will try my best to achieve good grades in the exams. I stopped watching movies and I started concentrating on my studies. I don’t know what was happening I was getting a kind of strength to work harder and I was fully determined to show to the world that I was capable of something good and ultimately I passed the next math exam with an A grade. •	What kind of music do you like? •	When do you listen to it? •	How does it change your mood? Music is a very important part of every human being’s life. Some people like hip hop, some people like rap and others like jazz. Different people have different tastes for music but there is one thing common amongst all these people, which is that almost everyone in this world is madly in love with music. I am very fond of music. I like all types of music, but my favorite type of music is Indian music. I like to listen to sad Indian songs because I feel that I can relate to them. My life has not worked according to the plan and I have been sad for most part of my life. So I think that those songs are made for me. I like the Indian songs because they are in my native language and the music in those songs is very good. Whenever I am very sad I play the songs so that I could feel sadder. I know it seems weird but I kind of like it when a song is telling my story. I also listen to sad songs when I am driving a car and my time is spent in a very good manner. I really like the songs in which the piano is played. I also know how to play the piano so I also play the same tunes on my own piano. As I told you earlier that if I am sad I listen to sad songs so that I could become more sad, but when I am happy I do not listen to sad songs on the contrary I listen to happy songs which make me more happy. So I would say that sad songs make me more sad whereas as the happy songs make me more happy. I recall a day when I was sad and my cousin turned on a rap song and it actually infuriated me and I went out of the room, banging the door. •	Different means of communication? •	What is your favorite means of communication? •	What are the advantages and disadvantages of using it? Communication is very important to impart information from one person to another. In the medieval times people used to communicate via birds, signs and fire. Now the means of communication have changed, but the purpose of communication is the same. Languages were made to facilitate communication and people learnt languages to make communication better. There are many means of communication in this world. I would like to tell you about the means of communication which I use. I use phone, laptop, e-mails and letter. I personally feel that phone is the best means of communication. I remember that once I met with an accident and I was travelling alone in a rainy night. I did not know what to do, but I had my phone and I straight away called for help and I was able to get the help because of the phone. There are many advantages of using a phone as I mentioned earlier that it can help a person in emergencies other than that the phones are operating as min-computers as they have all the features which are available in a computer. We can catch up with a friend without actually meeting the friend personally. Phones tend to save time if they are used properly, for instance if I have to cancel a class I simply sends a message to the students and they come to know that there is no class today. This would apply if you are a teacher. There are also some disadvantages of using the phone. The most obvious ones are that people waste a lot of time and money by talking on the phone for hours. I also hate the ring tones of the phones so I mostly keep my phone silent. •	Means of transportation in urban and rural areas in your country? •	Which means of transportation do you use? There are many means of transportation in my country. People in the urban areas usually have their own cars or they use the public transport whereas the people in the rural areas tend to travel on bicycles and tractors. People in this world use the means of transportation which are suitable for them. The previous mentioned means of transportation are used to travel within the country whereas the airplanes are used to travel from one county to another. My favorite means of transportation is a car. I got this car when I was 19 years old. First I used to travel on a bus, but after getting the car my life got a lot of easier and felt that car was a necessity rather than a luxury. First I used to travel on a bus and I never reached my destination on time. There was a day when I missed a bus and due to that I also missed my exam so I got a zero on my exam. I think that the use of a car enables a person to reach on time and it also protects a person from bad weather. There are also some disadvantages attached to the use of car as it is very expensive to keep a car and a person also has to pay for the maintenance charges. Cars also create pollution and traffic congestion. I still feel that the benefits of using a car outweigh the drawbacks and more and more people in this world are trying to get their own car. I like my room but there are certain changes I would like to make in it. Firstly I am not satisfied with the size of the room. I want my room to be bigger because I would like to put more stuff in it. The other change I would I like to make in my room is that I would like to put some paintings in the room. The wall looks empty and sad without paintings. I went to an exhibition recently and I was really impressed by the art collections and I am thinking about buying some stuff for my room. •	Why do people wear uniform? •	Have you ever worn a uniform? •	What role does uniform play in a person’s life? We all have seen people wearing uniform. People of different professions wear uniforms in order to distinguish them from other people and to show unity. You can easily observe that different organizations have different uniforms. I personally like the uniform of lawyers. Lawyers wear a black coat in my country which is quite good. Apart from lawyers there are also other people who wear uniforms. The most obvious ones are army men, doctors, students, police men and people of other law enforcement agencies. I used to wear a uniform when I was in my school. I used to wear a white shirt and black pants. I was totally not cool with it. I always thought that my school should have allowed all the students in my school to wear their own clothes. I never felt good after wearing the uniform and I wanted to just take it off. But now that I am an adult I realize how wise it was of the school to make us wear these clothes. Wearing a uniform just saves us from the effort to try so hard to choose the clothes. Now I contemplate the idea behind making the students where the uniform. There are some rich and poor people in a school, so the schools introduce a uniform to promote equality and brotherhood amongst them. Uniform plays a vital role in the life of a person. It promotes unity, discipline and integrity. I can easily say that uniform has played a very imperative role in my life. •	What kind of clothes do you like? •	How much money do you spend on clothes? We can classify clothes in to two types of clothes. The first one is the casual clothes and the other is formal clothes. I am obsessed with formal clothes. I fail to understand when people say that they feel comfortable in casual clothes. I do not see anything good in them. I always want to wear formal clothes because I feel confident after them. I like formal shirts and pants. I do not spend a lot of money on my clothes because I buy my clothes when the stores are offering huge discounts. The last time I shopped was when I went to Dubai. I bought many things from there because there was up to 75% off on many things. I spent about $ 2,000 on my clothes, so I was pretty much done with my shopping for the year. I never kind of plan my shopping, and sometimes I even get lucky because my sister brings a lot of clothes for me so I do not even have to buy them. I am not at all brand-conscious. I fail to understand the notion behind spending a lot of money on brands. Yes, people who have the money should buy these expensive brands, but people who do not have the money should not keep fantasizing about these things. The main reason I do not like these expensive brands is that I do not have enough money to buy them. I buy the things which I like given that they are in my budget. I have no allegiance towards a particular brand I would regard myself an independent shopper. •	What type of movies do you like? •	Compare different types of movies? •	How do you feel after watching? I like to watch sad movies. I know that people would consider me as a sad person, but I feel good after watching them. I am mostly interested in watching sad Indian movies. I feel that no one does sad movies better than the Indians and the songs make the entire thing a very unique experience. 2 days ago I watched 2 sad Indian movies and both of them were of Shah Rukh Khan. The actor acted well in all the films. I also watch action movies, but I have no connection with those movies. I get bored after thirty minutes, but there is a whole different story with sad movies. My life has been sad lately. I feel that I am able to relate myself to those movies and I endeavor to find a pattern which matches my life. I know this might be sounding crazy but it is how I feel about the thing. •	Name of your favorite movie? •	Why do you like it so much? •	What message did the movie give? I watch a lot of movies and this is the thing which I do in my leisure time. I love to watch movies and there some movies which I watch again and again. My favorite movie is The Terminal. I have watched this movie a million times and I am not exaggerating it. I loved the way Tom Hanks acted in the movie and it was a very well executed movie. The movie is about a person who gets stuck in an airport and he has to live over there for months because the authorities do not let him go outside of the airport. Tom Hanks plays a character of a person who comes to America to fulfill his father last wish and due to some reason he is unable to do what he has to do. In the movie Tom hanks lands at the airport at the airport and at the same time there is a mutiny in his country and America stops recognizing his country. The movie shows how a person survives all these months and fulfills the wish of his dead father. There is scene in the movie when the authorities ask him to say that he is afraid of his country, but he says no. You would not believe what I am going to tell you now. Once I was travelling and I was stuck in Schipol Airport for 2 days and I had to face similar kind of situation because my ticket had expired. I just felt as if the whole movie was going to be played again and I was to play the main character this time. The movie shows that no matter what happens a person should never compromise on his or her love for the country. The move also gives a message that no matter how long the wait is, people with strong determination always achieve their goals. •	Who was involved in it? It was about 3 years ago when I was going to my friend’s house I was driving the car really fast. Speed always thrilled me and I always felt good by driving the car very fast so I was driving the car fast when a car passed me. It was so faster than me and I reckon it would be travelling at a speed of 200km/hr. First I thought I going at the same speed but then I stopped. After about 30 seconds I saw that the car had hit the truck and the driver of the fast car was dead. I was not directly involved in the accident, but it had an overwhelming affect on my life. It changed everything. I never took life seriously and I never considered driving to be hazardous activity, but the killing of the person had a devastating effect on my life. I realized that the thing which I considered to be fun could even take my life away and could destroy others too. I made a strong determination that day that I would end this kind of behavior and try to avoid these things. I thought that doing this stuff could I also take another person’s life which for which I would have never been able to forgive myself. Now when I drive the car I drive the car at a low slow speed, and even if I have to reach to a place urgently I decide to drive slow because it is better to reach late than never. •	Why do you regard it as the happiest moment? •	How did it affect your life? The happiest moment in my life was when I passed my Grade 12. It was a crazy day. I was behaving like a maniac as I was so stressed out. I had to go to my school to get my result and I was panicking. My admission in the college was solely dependent on whether I pass or fail the exam, so it was very important for me to pass the exam. I reached my school and I was trembling with fear because I thought that I would fail in one of the subjects. After a long wait I was asked to pick my result and with trembling hands I opened the envelope. I had passed the exam. It was the happiest moment in my life. The main reason it was the happiest moment in my life was that I had not worked for the exam, but it still I passed the exam. Somewhere in my heart I thought that I did not deserve the passing mark, so getting it had without any effort. If I compare this situation to other events in my life I can say that I have had better marks in other exams, but this was the most important one. After getting the HSD I got admission in the college and I started my studies. I remember that most of the students in my class had not gotten it and they had to sit for the make-up exam; however I was damn lucky and it also helped me realized that luck was not always going to work and in the future I will have to put up some real effort to get success in life. •	Why did you feel so much embarrassed? •	Can we avoid these kinds of incidents? The most embarrassing moment in my life was when I went to school without my books. I was studying really hard all night, actually I was pulling an all-nighter, and I forgot to bring my book to school. As I was sitting in the class my math teacher asked all the students to take their books out , and as the students were taking their book out the principal entered the class. I put my hand in the bag and I realized that I had forgotten the books at home. Everyone in the class had brought the books and I was the only one who had not brought the books. Principal approached me and asked me that why had I not brought the books? I told him that I was studying late, so I forgot the books in house. He said that to me that the only reason you have to study at home is that you do not bring your books to school and you do not study over here. It was such an embarrassing moment for me that I felt like crying. The entire class started laughing at me and I was the new dumbo of the class. I do not think that we can avoid these embarrassing moments in our life. They are beyond our control as in my situation my hard work for the night was not acclaimed and a slightest mistake just turned out to be a blunder and I had to face embarrassment in front of the whole class. Some people say that we can avoid certain things to avoid these incidents, but I do not think in a similar way. How do other people regard this incident? My favorite electronic device is a laptop. I am exaggerating by saying that I cannot live without it. When I did not have it I never thought it would become such an important thing in my life, but when I started using it I realized that I could not live with it. I use a Dell laptop and it is very beautiful, apart from being beautiful it is has a lot of functions and features which have made my life easier. I use my laptop all the time and I carry it with me at all times. The main reason I use the laptop is that I am running my own website and for that reason I have look at the website statistics at all times. If I do not use my laptop, I would not be able to operate my website. I also use the laptop when I have to talk to my friends or when I have to check e-mail. I have some friends who live in other cities so when I feel that I am missing them, or I feel that I should keep in touch with them then I talk to them on skype. Laptop is an electronic device which has not only made my life better, but also the life of many people better. People have been able to communicate in a much better and faster way and the communication done via the laptop or internet is mostly free. At first it was considered to be a luxury, but thanks to the modern technology it has now become affordable for everyone. •	Why did you attend it? •	Describe a sports event you attended? •	What was the best part about the sports event? It was about 9 years ago when I went to the annual sports day of school. It was a very grand event; more than 600 students were participating in different games. I also had to attend it because my cousin was playing in the hockey team. I had come to watch the hockey match because I wanted to sport my cousin. It was a magnificent event. Things were organized incredibly well and the head boy of the school was organizing everything by himself. I was really impressed by the look of the event and it would not be wrong to compare the event to Olympics. There was a massive display of fireworks at the beginning of the hockey match and then the teams came for the match. I must say that it was a very interesting encounter. The best of the sports event was when my cousin scored the goal. He had been working really hard for to get a place in the team, and when he used this opportunity in the best way by scoring the only goal of the match. The entire crowd was cheering for my cousin and it was a moment to cherish. I was feeling proud of my cousin and I realized that he was not celebrated person at the school. After the match was finished I congratulated my cousin and I told him that the entire sports event was a blast and I has enjoyed a lot by coming to the event and by watching the match. •	When did you visit it? •	Describe the good things about the carnival? •	How could have the carnival been made better? Actually I was asked to organize a school carnival last week. I think I would be able to talk a lot on this subject. I was asked to make all the arrangements for the school carnival. As you know the carnival is held every year before the lent and most of the schools celebrate it as a very important event. First of all I had to seek help of some volunteers, I asked my cousins to help me out and they agreed to help. It was a carnival for the children so I had to get the things which would be of interest to the children. I contacted the magician and asked him to show his tricks at carnival. This thing was very interesting for the students. Another thing which was of interest to the students was that the theme of the carnival was Hollywood and all the children were dressed up as their favorite Hollywood start. I regret one decision which I made during the organization of the carnival. The carnival would have also acted as a fund raiser if I could have sold some tickets. •	What kind of food do you like? •	How do you feel after eating it? •	Do you know how to cook it? My favorite food is Pakistani food and my favorite dish in Pakistani food is Biryani. I like to eat Pakistani food because I have been eating it since my childhood and I am fond of eating spicy food. I have been to many countries in this world and I have tried many things, but still I consider Pakistani food to be my favorite food. Some people like to eat things which are expensive and they feel that the things which they eat or like are recognized worldwide, but I have different opinion. I like to eat things which are delicious and the food which I have been eating since my childhood. I remember that once I was feeling very sad, and I did not want to eat anything at all but then as I saw Biryani I started feeling hungry. There are times when I am not even feeling hungry, and I start eating Biryani the moment I look at it. I feel very good after eating Biryani. It is so mouth-watering and scrumptious that sometimes I eat it in high quantity. Some people think that only girls should be the one who should be cooking, but I think boys should also know how to cook the food. I learnt making this dish and it was a unique kind of experience. I never thought that cooking was so fun, and now whenever I want to eat Biryani I prefer to make it myself. I believe that you should also try it out someday as most people in my country love it so much. •	Name of favorite drink? •	Tell me something about the taste? •	When do you drink it? My favorite drink is mountain dew. I drink it every day and you can say that I am almost addicted to it. I cannot live a day without. I fridge is always stuffed with chilled cans of mountain dew. It also started 5 years ago when I saw the ad of mountain dew. I was really impressed by the adventurous ad of mountain dew and I thought of trying it out. The surprising thing is that I liked it the first time tasted it and the entire feeling was incredible. I drink it every day. This is the reason I have been a lot of weight. Mountain dew has a lot of calories, but I just ignore the calories as I am a slave of its taste. I drink 1 500-ml bottle everyday and I prefer to drink this drink while I am having dinner. I do not get mad at people and it is very difficult to annoy me, but once I had put my mountain in the fridge, and my cousin drank. This thing irritated me so much that even shouted at him. I am just so possessive about mountain dew that I cannot tolerate anyone else drinking my drink and getting all the pleasure. •	What is the name of the magazine? •	How does it interest you? •	What is your favorite part in the magazine? The name of my favorite magazine is CAFELS. It is a very unique magazine which is about the education sector of Pakistan. It was initially a website, but then the founder of the website also decided to make his own magazine. I started reading this magazine when I was 17 years old and I have been reading this magazine for the last 3 years and I can’t complain. The magazine has 100 pages and each page has a different and unique things in it. I like this magazine a lot because it is really exciting. Other magazines in the country are normally about fashion and all other stuff which does not interest me. This magazine tells about all the good schools and colleges in Pakistan. One day my friend brought me another magazine and the name of the magazine was “Confuse News”. He strongly recommended me to read the magazine as it was really interesting, but I could not read it. My brand loyalty towards CAFELS is so great that I cannot imagine reading another magazine other than this one. Right now I am doing High School Diploma from Pakistan, and I also want to study in Pakistan so this magazine gives me a good idea of the colleges and universities in Pakistan. My favorite part of the magazine is the section when different colleges and universities are ranked from 1 to 10. This is ranking is based on the survey conducted on the internet, so no one can say that the survey was biased or not in accordance with the rules. •	Why is it your favorite website? •	How often do you use it? •	What would your life be without it? My favorite website is youtube.com. A lot of people in this world regard youtube to be their favorite website and I feel in the similar way. This is a website in which a person can watch or upload videos for free, and the great part is that the user can even create his or her channel and then earn money by the by the videos he or she has uploaded. We can find almost everything on youtube and everything is available over there free of charge. I started using youtube 4 years ago and it has been a really great experience. I spend most of my time on youtube. I have to upload my own video lectures on youtube and these video lectures are provided to the people for free. I also stay on youtube to watch trailers and songs. You can find almost every song of this world on youtube. There was a day when I missed a cricket match because I was busy in something, but because of youtube I was able to watch the entire math again because someone had uploaded the match and it made me very happy. My life would be hell without youtube. I would not be able to function without it. 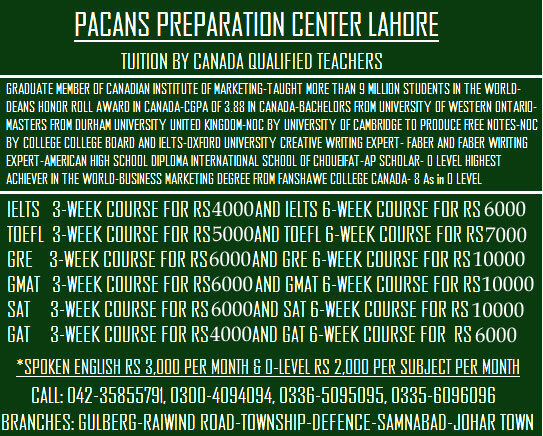 I am running an educational institute in Pakistan, and I provide free online video lectures to everyone irrespective of the fact that they are my students or not. If youtube goes out of my life I would not be able to provide this free service and it would be bad not only for me, but also for all the people who are benefitting from it. •	What is the name of the book? •	When did you read it? •	Tell about the book briefly? I am not book worm and I am not fond of reading books, though I cannot say the same for 7 Rejections. I have read this book for at least 50 times. The book is just mind blowing. I read about this book on the internet and I eventually bought this book from www.amazon.com because the book was not available in my country. I read the book 4 months ago and this because gave me a lot of inspiration. The book has a 3 pages and every page is so gripping and intriguing that once a person starts reading the book it is impossible to leave it and do something else. You know the exciting part is that the a movie is also being made of this book and I hope that the movie is a big hit. It takes me a lot of time to a novel, but read this novel in 1 day. The book is about a person who gets rejected by 7 girls because he is poor. The book describes the story of this man who could bear his insult and then he eventually starts working for his business. The book tells about his struggle and how he becomes a billionaire. The way I am telling you might think that the man was taking revenge, but actually the clearly describes that everything the man does is not out of revenge but because of love. The story tells that without money a person is not only deprived of the big house and car, but also from love. •	What is the name of the favorite perfume? •	Should people wear perfume? The name of my favorite perfume is Pr 37. This perfume is only available in my city and it is growing in popularity day by day. I had gone to the mall and I saw an advertisement over there. First I was confused about whether to buy it or not, but then I decided to buy it. The smell was just incredible. I was so crazy about the perfume that I bought 10 bottles of it and whenever I go to a restaurant or to a friend’s house I wear the perfume. It is impossible to describe the smell of a perfume, but I will try to describe how I feel after I wear it on. The smell is very strong and it remains for at least 24 hours. The smell of the perfume gives me the feeling of as if I am a very powerful man. My friends told me that the perfume smells like chocolate. Some people even say that the perfume smells like a flower, but I think that Pr 37 smells like a thunderstorm. People have often associated perfume with women, but I feel both women and men should use it. I am living in a very hot country and it if people do not use a perfume they smell terrible so it would be a very good idea to wear a perfume. People often complain that they do not have the finances to buy a perfume, but I think it is just a lame excuse because if people can spend so much money on clothes in order to look good how can they not spend money on smelling good. •	What is the name of the sport? •	When do you play it? •	How do you feel after playing it? My favorite sport is cricket. I can keep on talking on this subject for 10 days, but I will only tell you the exciting stuff. Cricket is a game which is very popular in Pakistan and India. There are many teams which play the game. About 6 years ago I started hating this game but with the introduction of the 20-over match my interest in the game developed more and I started loving it. I play this game every Saturday. I play this game with my friends and we have a very good time at playing this game. The exciting part is that I am going to play cricket two times this week. I am going to play it two times because one of my cousins has invited me to come over to his house to play the game. I have been doing the preparation from the last 10 days in order to play the match well. I am good bowler, but I cannot play well with the bat. I think the primary reason is that I want to hit each ball for six and this gets me out, each time I come on to the crease. I feel very good after playing the game. It makes me energetic and also makes me happy. This game is a good way to socialize with my friends and the achievement of hitting a six is just awesome. I think that every person in this world should play some kind of sport because it a very good form of exercise. •	What is the name of the TV drama? •	What type of TV drama is it? •	What message did it convey? My favorite drama is Prison Break. I watched this drama 3 years ago. The drama has 4 seasons and all of them are quite gripping. The drama is about 2 brothers who break the prison in order to prove their innocence. All the characters in the drama are very good and I can definitely say that people who watch one episode will not be able to leave the seat unless they watch the entire season which quite exciting. This drama is an action thriller. I know that you might heard of these types of dramas a lot so I wish I could come with another word which could clearly distinguish from this ordinary word. I live in a conservative society where children are not allowed to watch movies or dramas with parental guide and even if they are allowed the dramas should not expose the children to adult content. This drama does not contain any vulgar content, yet it is very interesting. The message which the drama conveyed is that a person has to be strong in his or her life because a person does not know what might happen in his or her life. The drama showed that even when one brother was living a good life, he still sacrificed his life just in order to give a better life for his brother. The drama showed no matter how difficult the circumstances are, a person should never leave his or her loved ones in the time of need. •	What kind of song is it? •	How often do you listen to it? •	Do you know how to sing it? My favorite song is “Tune jo na kaha”. This is a Hindi song from an Indian movie. I watched the video of this song on my flight back to Lahore and since then I have loved this song a lot. This is a very sad song. Actually the movie was very sad, so one would expect that the song would also be sad. This song is about a boy who fails to tell a girl that he loves her and as a result of this she marries someone else. I listen to this song a lot. I think I have been through a similar kind of situation in my life, so I think as if the song has been made for me. The song has excellent music and the lyrics just hit a person’s heart. The lyrics are so simple and true that anyone in this world could remember them. This song is very popular in my country. I have seen most of the people singing or listening to this song. These days Indian music has lost its touch and they are not producing good sad songs the way they used to do in the past, but this song is quite good. It has the ability power to make a true lover cry. I can sing songs, and I like to sing songs whenever I am free. I remember that 3 months ago when I went to a friend’ wedding ceremony, my friends asked to sing the same song and I sang the song which was appreciated by all the people. Sometimes I go wrong with the lyrics, but for most of the time I am pretty good at remembering the lyrics as the song is so close to my heart. •	What are the common diseases in your country? •	Is healthcare expensive in your country? •	How should the government deal with this problem? I am going to talk about my country Pakistan. The health situation in my country is no very good. The common diseases in my country are acute respiratory infection, malaria, cancer and dengue fever. There are thousands of people who blame the government for not providing the proper care, but I think it is also the responsibility of a citizen to safeguard oneself. A staggering percentage of the health care is provided by the private sector. More than 50% of the health facilities are being provided by the private sector. We cannot say that the healthcare is expensive as long as it is being provided by the government, but the healthcare provided by the private sector is very expensive. There are some very good social welfare associations which are providing free healthcare facilities to the poor people in the country. I would like to tell you about Wasila Welfare Society which try to provide free healthcare facilities to the deserving people of the country. The government can solve the problem by taking some drastic measures. The government should start a campaign of making people aware of the ways on how to make prevent different diseases. The government should also try to make new medical colleges in the country. There is huge shortage of doctors in our country and all the doctors, who are good, are trying to leave the country as they are not provided ample opportunities to succeed in life. Government should also take the initiative to provide pure drinking water to the people because it will solve half of the problems which may lead to the contagious diseases. •	What is the game about? •	For how long have you been playing it? •	Compare this game to others games? Some people believe that games are only for the people under the age of 18 and the all these video games are a waste of time, but I do not feel the same way. I am 26 years old but I still like to play video games whenever I get the chance. My favorite video game is Cricket 2007. This game is about cricket and the game is being offered on PS2. There are about 12 teams which play in this game and the user has the option of either bowling or batting in the match. I bought PS2 6 years ago and since then I have been playing this game. I do not know what the connection is. Sometimes I behave like a crazy guy and I play this game for 6 -7 hours in a day. I am obsessed with cricket so whenever my country loses the match I select my country in the game and I try to win from the country which actually defeated my country in the real life match. I would like to tell you about a day when my cousins were actually convincing watching a Pakistan-India match in the stadium, but I decided to go for this game. There are many games which are being offered on PS2, but this one is quite different. The other games are most of the time associated with violence and killing whereas this Cricket 2007 does not consist of any violence and it relaxes a person’s mind as everything in the game is based on the way you want to play the game. •	When do you the exercise? •	What exercise do you do? •	How do you feel after doing exercise? I do not think that anyone in this world can deny the importance of exercise in his or her life. I have seen that people who do exercise live a way more healthy and wealthy life. I would even consider obesity as a disease which deserves to be eradicated from this world. I definitely know about the importance of exercise because first I used to be very fat. I weighed 200 pounds and I was obsessed with junk food. I got so much fat that I started hating myself. One day I made a commitment to myself that I would lose my weight and that could only be done by exercise. I started off with jogging on the treadmill, but as the time progressed I also started weight training. The exercise which I like the most is running. After running I feel as if I am in the air and I feel very good. I run for about 30 minutes every day and it is a very good experience. Last month I had to go out of town for a business meeting. As I was attending the meeting I did not get a chance to do exercise and I felt so bad. Some people say that they feel tired after doing exercise, but that is not the case with me. Whenever I do exercise I feel energetic and I am able to perform my other tasks in a very good manner. I would recommend everyone to indulge in to some kind of exercise because it would be make a person both mentally and physically fit. •	When did you visit the mall? •	Why did you visit it? •	How was the experience? I went to Masonville Mall 3 months ago. I went over there because I had to do some shopping. I went to the mall with my cousins. We all had to do some shopping for the upcoming wedding of a friend, so we all decided to go to the mall. The mall was extraordinary. I was really impressed by the decoration of the mall. I had limited budget, and I had decided that I would spend only $500 on the clothes, but things were so good that is why I had to borrow some money from my cousin and then I bought other stuff. The best thing about the mall was that the staff over there was very friendly. I have visited a lot malls in the world, but I have never seen such good customer service. After doing all the shopping we were so exhausted that we could not even walk a step. I came up with the idea of eating food, so we went to the food court which was located in the mall. It was a huge food court and almost everything was available over there. I had New York Fries and a burger. I always miss the mall a lot as the trip was fantastic. I sometimes think of going there again, but these days I am kind of busy, so I do not find the time to go over there. But, I am planning a visit to the same mall somewhere around next month. •	Which musical instrument can you play? •	Did you get training for it? I am very good at playing the piano and I regard it as my favorite musical instrument. When I was a child I was really inspired by the guitar because I thought it was for boys, but when I played it I did not like. My finger used to hurt a lot whenever I used to play the guitar, I thought trying something else. I bought the piano with the money I had received on my birthday. It was not a very expensive piano, but it still has all the good features which one would expect in a goo piano. There is also a website by the name of www.bornsingers.com which has a lot of articles to help the amateur piano learners. This is a very famous website because it has a lot of music videos of new singers. I feel so good after playing the piano that I cannot even describe it in words. I mostly like to play the tune of my favorite song and I also sing while I am playing the song. Sometimes I do commit some mistakes and that is the most irritating part, but the people who practice it well never make these kinds of mistakes. •	What is name of your favorite car? •	What are the features of the car? •	How has it changed your life? The name of my favorite car is Toyotta Corolla. I bought this car 3 years ago. Before this I used to travel on the bus, but after buying this car my life changed significantly. This car is not very expensive, yet it provides all the good features which a person might from a luxury car. I like red color so I chose to buy a red a car. It is true that I cannot always look at the color of my favorite car, but whenever it is parked somewhere I feel good. The car has power windows, so we do not have to manually do the work. The car also has a very beautiful interior. The interior of the car is comparable to the interior of any good luxury car in the world. The thing is that I do not like to drive the car fast, but for all those people who want to drive the cars fast should definitely go for this car. This car also has an SRS airbag which means that in the event of an accident the driver’s life would be safeguarded. The design of the car also strives to provide a certain kind of protection for all those people who are sitting in it. I bought the cat 3 years ago since then my life has been great. Before buying this car I was in a dilemma. I never reached at places on time and I was not able to manage my in a proper way. This car has made my life easier and I can easily say that I can’t survive without it now. •	What is the name of the newspaper? •	What part of the newspaper do you like? •	How often do you read the newspaper? My favorite newspaper is Confuse News. This newspaper is a local newspaper in my country and people like it a lot. The newspaper deals with all the news which arouses confusion amongst the public. Confuse News tries to answers all the question which are in the reader’s mind and after reading the newspaper people say that most of the questions are answered. Other newspapers simply state facts whereas confuse news stated the facts along with the proposed solution. I love the sports section of this newspaper. Last weekend the national cricket team of Pakistan cancelled its tour of Dubai and I was so much confused and I was not able to find the reason for this, but Confuse news had an article on this and all my questions were answered. I also like the size and quality of the paper which is used by Confuse news. You know the ads on this newspaper are not even irritating. I have read so many newspapers and I find most of the newspapers irritating because of their ads, but Confuse News blends the ads with content in a way that no one can complain. These days I am very busy because I am starting a new website, but I try to find as much time possible to read Confuse news. When I was less busy used to read the newspaper everyday and I used to spend about 20 minutes. There was a day when I had not read the Confuse News for 6 days and I was feeling as if I was cut off from the world. Thank u very much it’s very useful for ieltsexam. From bottom of my heart Thanks a lot…..
thank you very much. it helped me very much. yesterday I had speaking test and i read these topics twice. I could answer all question with ease. for taking idea topics are and these topics helped me in my IELTS exam to secure 9 bands! indeed tanx alot for sharing this marvalous topic its soo helpful for me ilets prepartion ..i captured all .. Thanks alot very nice job .its soooooooo helpful .God blesss you. firxt of all em thnk full t0h uh…bcz its very help full nd nd i again say uh thnqew buddy …..
good way of knowledge in prepared it Ielts exam!!! I have Ielts speaking exam tommorow. I read all these topics and i believe that these are really very helpful in preparing for an Ielts exam. Thanks alot….. these topics are really helpful…. Language u want to learn except english?? ??? Thank You very much to provide such important exercise to us. 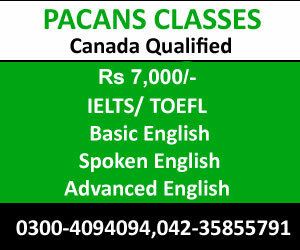 very helpfull and now i acn face the ielts exam and get goot score..! why u choose the restaurant ? Thank u ….its a vry helpful for me….thank u again..
these are really useful. thank you for sharing it. reading this weblog’s post to be updated daily. It includes pleasant data. when i read the above comments,its built my confidence nd now m going to read all the 40 topics .please wish me luck that i score good in ielts. THESE TOPICS HAVE GIVEN A MASSIVE IDEA OF SPEAKING TOPICS AND I HAVE GONE THROUGH ALL. THANKS FOR UPLOADING. Thank you for writing the post.It was explained clearly.